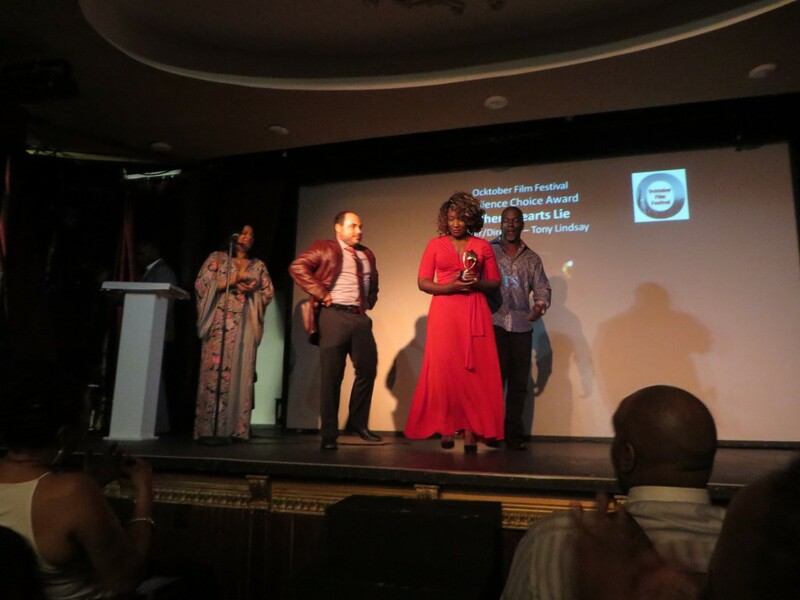 On Sunday at 6pm, October 4th at The Poet’s Den located on 309 East 108th street NYC, The Ocktober Film Festival presented The Award Show which was beautifully organized by Emelyn Stuart. The love and support along with enthusiasm and flowing energy was positively overwhelming. The feature film for that afternoon was, “Where Hearts Lie” which was shown at 2pm. 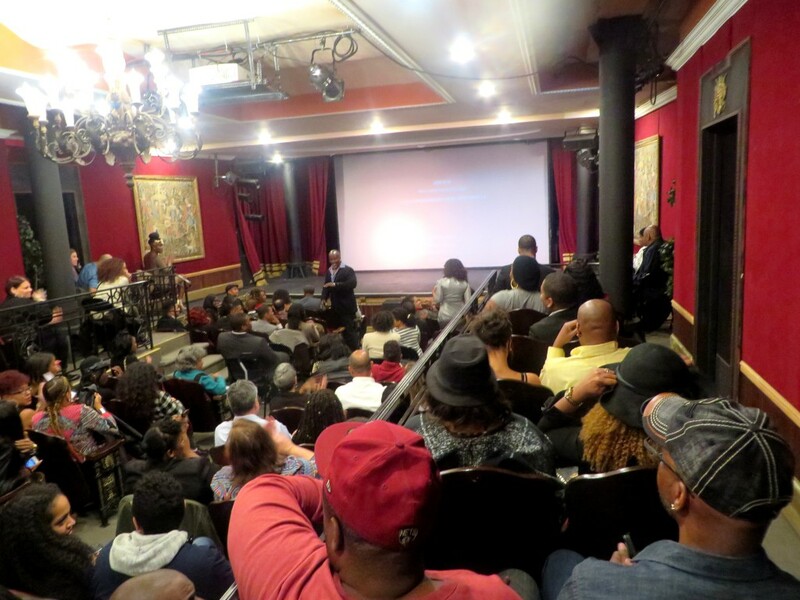 Check out the videos for The Ocktober Film Festival Award Show and “Where Hearts Lie” cast Q&A! 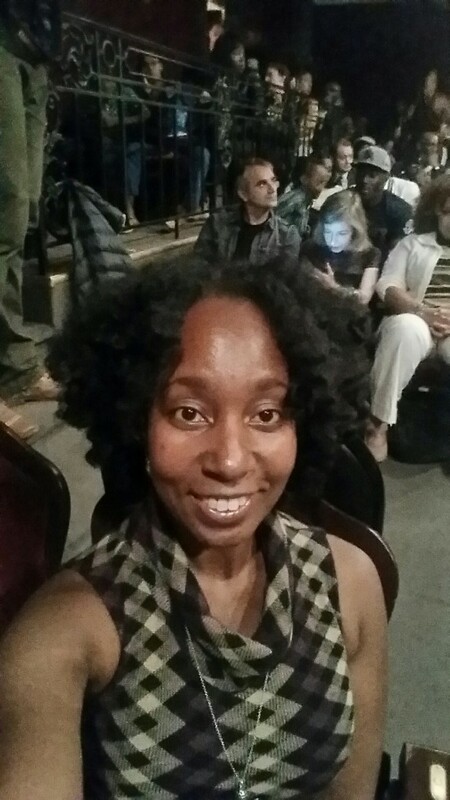 Executive Producer/Founder of The Ocktober Film Festival/Founder of Stuart Films: Emelyn Stuart. This is among the most inspirational and entertaining events that I have attended. Well done, Emelyn! 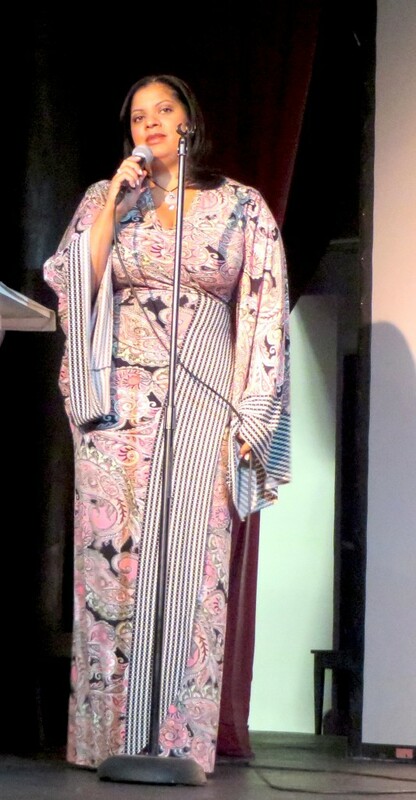 Luv that dress! Emelyn gives a powerful introduction. Check it out! 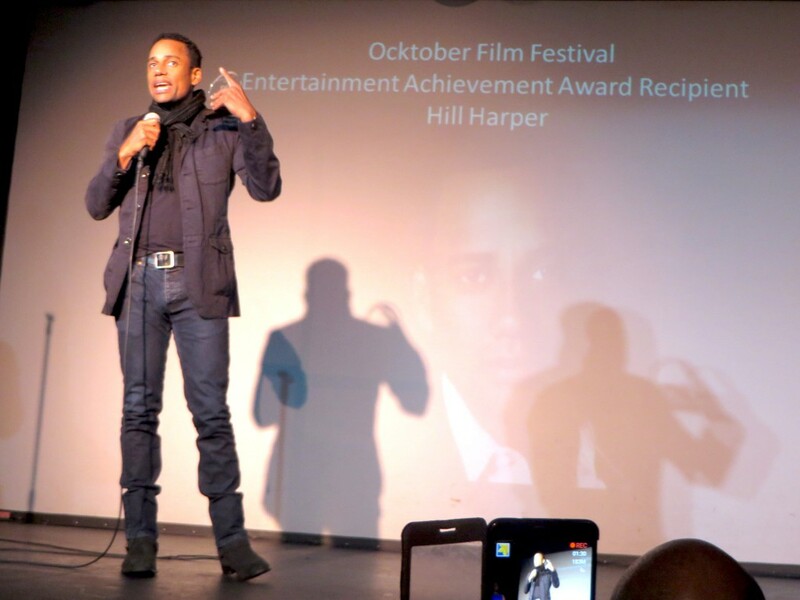 Actor/Producer/Writer Hill Harper was presented with The Best Entertainment Achievement Award. How does this festival help people become better in their craft? Get a glimpse and play this! Hill Harper imparts some serious wisdom! Click to check this out! What made this film so popular? How did Producer Peter James Iengo, Actor Tanya Thompson and Director Tony Lindsay get involved in this production? Get the inside view on this by playing the above video! 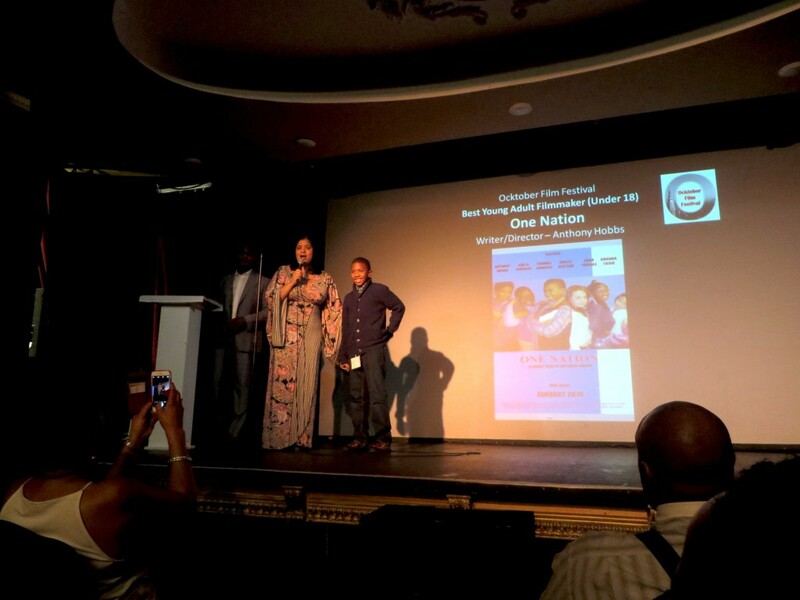 Writer/Director Anthony Hobbs won an award for The Best Young Adult Filmmaker (Under 18) for his film “One Nation”. It is beautiful to see one so young with so much confidence and ambition! Click on the video to see for yourself. Find out who received The Best Film Short Award!! The following videos took place earlier that afternoon after the 2pm showing of the feature film, “Where Hearts Lie”. “…The existence of what is not shown often on the big screen…” Find out what Director Tony Lindsay meant in this above video!